For the Small and Medium Businesses (SMB) a flexible cost effective telephone system is essential for conducting business, however many traditional PSTN or even modern VoIP solutions do not match the requirements of the SMB. This is mainly due to a small business having different resources to larger companies that can afford and justify the installation and operational expense of a Private Branch Exchange (PBX). 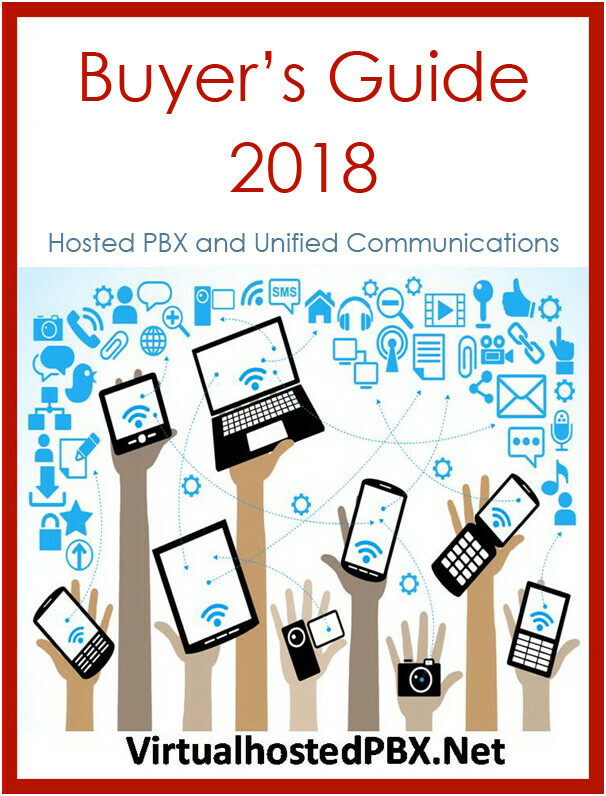 SMB’s have similar requirements for a professional call handling solution, however a PBX may well be out with their budget, their in-house technical experience or capabilities. What is more is that many SMB’s may support less than twenty staff that may be diversely located, working at different sites, client offices or even working from home. Fortunately, there is a way for the SMB to have the full functionality of a PBX at an affordable price, by subscribing to a hosted or virtual telephone system. A virtual telephone system is a hosted PBX service residing on the internet, or the cloud – a network of powerful servers, typically in a large third party Data Centre. A Communication Service Provider (CSP) provides the hosted PBX service to many SMBs, by designing its Carrier-class PBX to support multi-tenants. The CSP typically charge the client SMB on a subscription basis such as a monthly fee, for this professional telephony service. The CSP handles all the cost of the hardware, software and the daily operation, freeing the SMB from upfront installation costs as well as the operational burden. What is more the SMB benefits in many other ways. What are the Benefits to the SMB? In order to understand the many benefits that virtual telephone systems bring to the SMB it is necessary to examine a couple of service offerings – all CSPs’ offer similar but slightly different services dependent sometimes on the size of the target SMB, and the technology they build upon. A good example is the very popular, amongst SMB start-ups, Grasshopper – virtual telephone system. Grasshopper’s service focus is on incoming call handling, and is an overlay on the existing PSTN phone network. They supply a local or Toll free number, which the SMB’s customers can call. The Grasshopper service then answers the call, provides the caller with a voice menu, offering a choice of offerings, such as press one for sales, two for customer care, three for technical support, etc. Upon receiving the caller’s choice, Grasshopper then redirects the call – via call forwarding – to any phone that the SMB client has configured, this could be a landline, a mobile phone or a VoIP telephone number. The advantage to the SMB is clear, in that they need no additional hardware, they use their existing phones, and they benefit from receiving; professional call answering, auto-receptionist, incoming fax, voice mail and redirect service. This is a good match for a small highly mobile workforce, that tend to work primarily from their own mobiles, or home phones. This scenario is now common business practices referred to as bring your own device (BYOD), whereby employees are encouraged to use their own Smartphone, tablet or laptop. The advantage is that the SMB is spared the expense of supplying devices and importantly it reduces the training and support burden as the employee is already familiar with the device. However, having customers call employees directly on their personal devices is not something desirable. Therefore, SMBs require a telephone system whereby customers call a local Office/Business number. The system answers the call and redirects, transparent to the customer, to the employee’s personal device. Transparent call forwarding is one of the key benefits of a virtual telephone system. Grasshopper has many additional capabilities, such as call conferencing and voicemail to email, however it is focused on incoming call handling. As such, Grasshopper is not a replacement telephone system but more a value added service, it does not supply a dial tone, so you still need to use an existing phone service to make outbound calls or send faxes. Interestingly, another SMB favorite, the VoIP Skype service when teamed with Grasshopper can build a very effective incoming and outgoing service, by transparently redirecting the local or toll free number to a Skype number and then using Skype as the outbound service. This can be an elegant solution for the small company, but larger SMB’s probably will require both an incoming and outgoing service that is already tightly coupled an example of such a virtual telephone system is RingCentral. RingCentral is a virtual telephone system aimed at the larger SMB sectors that are looking for full PBX functionality. Its service is fully bidirectional, handling both incoming and outgoing calls and faxes, with support for IP desktop phones. In short, the RingCentral service is a hosted IP PBX, which delivers to the SMB all the functionality and benefits of an Enterprise class IP-PBX, but without the capital (Capex) and operation expense (Opex). Moreover, being a cloud based IP-PBX, it has additional advantages as it facilitates integration with other cloud based communication applications such as MS Exchange or Software as a Service (SaaS) CRM applications such as Salesforce.com. This level of application integration was previously only achievable by Enterprise sized companies, with advanced technical capabilities, and large budgets to match and would be very difficult to implement by a SMB on a self-hosted IP-PBX. Another consideration is reliability, cloud based services typically have high availability figures in the realms of five nines, 99.999% which equates to five minutes a year downtime. This is achievable because the virtual telephone system is actually running on Cloud servers residing in vast Data Centers, owned and operated by the likes of Google and Amazon. A virtual telephone system can also boost an SMB’s image as it projects to their customers a corporate look and feel, along with a professional quality of experience. Furthermore, an additional benefit to the SMB is the ability to grow and scale their operations by adding and reorganizing telephone extensions and departments, without the headaches of advanced project planning or in-house technical expertise. Provides a flexible, reliable, feature rich, manageable, efficient and cost effective telephony solution to the SMB at an affordable price.